If you live in Indianapolis, you know Indiana winters can be unpredictable, especially if your car, truck, or SUV isn't properly prepared for the cold season. Winter can dump a foot of snow or more on the ground, drop temperatures below freezing, and bring ice that makes driving around the Circle City quite dangerous. At Hubler Automotive Group, we encourage Hoosiers to prepare for the season and winterize their cars with us. A little proactive maintenance before the snow comes can save you quite a bit on repair bills. Whether you live in Indianapolis or a smaller city like Rushville, IN, it's important that you winterize your car. Winterizing ensures that your car can handle all the hazards you encounter on the road, and that you won't find yourself stuck in a snowdrift or sliding into another car. Winterizing your car also reduces the rust that forms underneath the vehicle due to the salt road crews use when snow or ice is present. We recommend that you bring your car, truck or SUV in to one of our Indy service departments near you before winter storms hit. Our trained mechanics and professionals will check multiple parts of your car to ensure it is ready for the harsh weather conditions associated with winter. We will check and fill all the fluids in your vehicle including washer fluid, power steering fluid and transmission fluid. Our mechanics also change your oil and filters. Ensuring that your tires are safe and secure and your battery operates properly are just a few of the other steps that we'll take when you schedule service. If you prefer to do-it-yourself, then you can also order parts online at Hubler. At Hubler Automotive Group, we also recommend that you consider adding snow tires to your car, especially if you live in one of the more rural areas outside of Indianapolis, Indiana. Snow tires can help you get down treacherous snowy roads and across icy spots with ease. You may also ask us to check your four-wheel drive before you take off on a trip this winter. 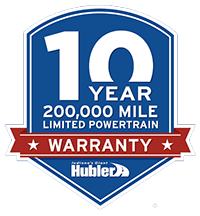 Getting your car ready for winter is as easy as making an appointment today with Hubler Automotive Group of Greenwood, IN, for a winterizing package.